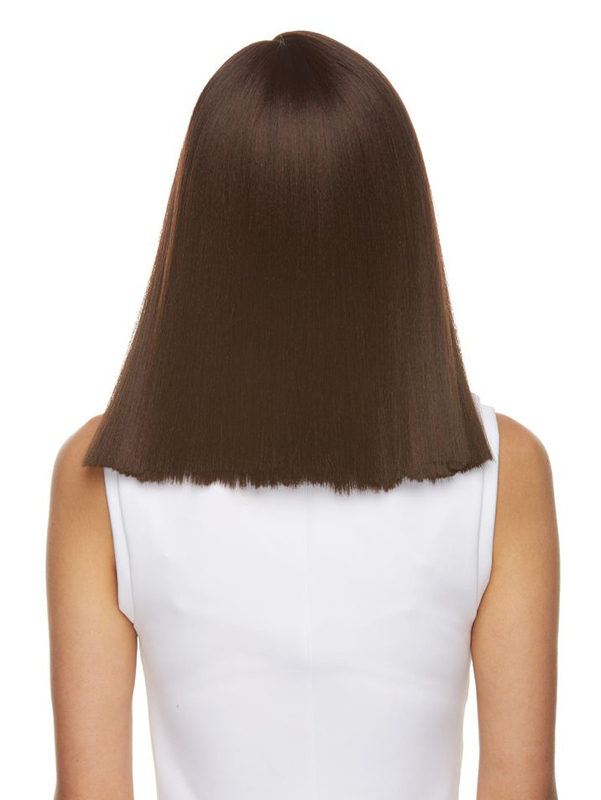 Just below the shoulder length lace front with with dramatic tapered cut and C-shaped part for natural appearance. 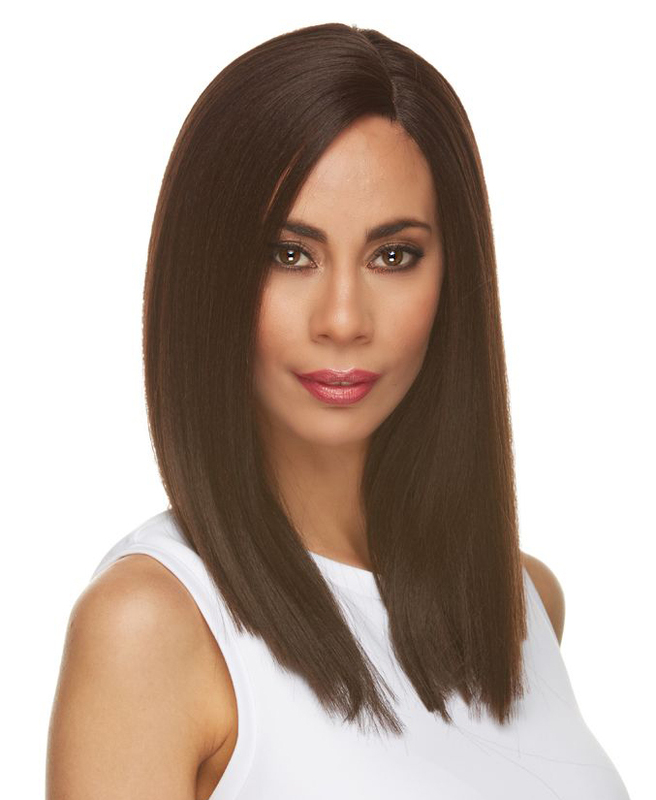 Silky synthetic strands in lush volume. 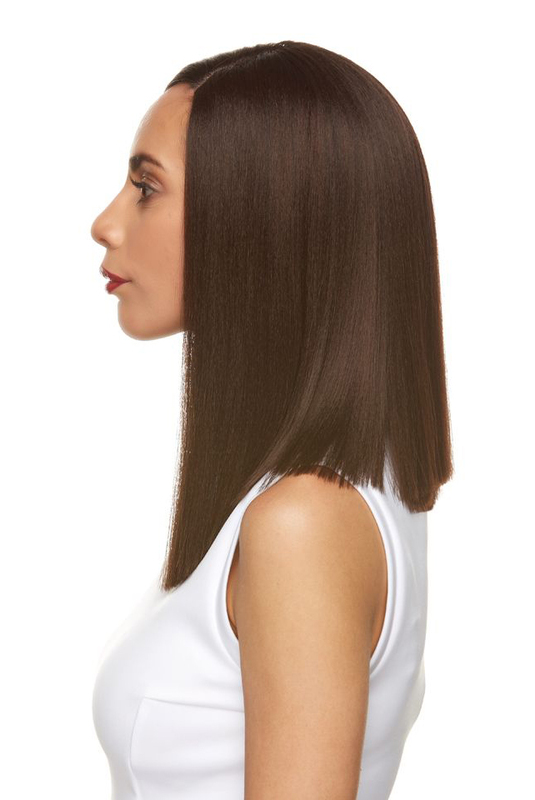 Smooth texture in great color shades. Lace front mesh is hand applied for most natural movement. When styling use only low heat settings. 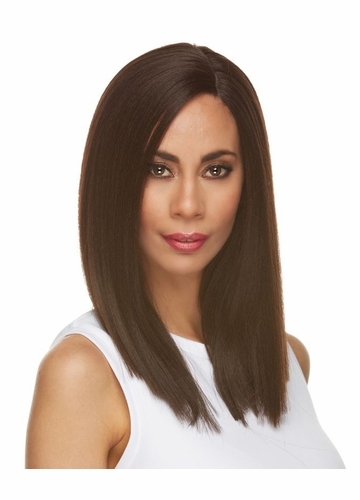 Model is wearing this wig in dark brown.